Over the last few weeks blog neglect has set in which I know is regrettable for those of you who hang on my every last word. I know where you are and I assume you are in a phone box somewhere near here. Or maybe you are not because it's rather hard to find a phone box even in Britain where just a few are reserved for ceremonial purposes. Americans are often rather fond of red phone boxes. They have probably seen those cute pictures of them outside museums or honeycomb villages in the Cotswolds. Having grown up with them I'm more cynical. Phone boxes were usually places of last resort. if you went into them you'd be hit by a pleasant aroma of cigarettes and pee. The phone book would invariably be ripped and the slot to put your coins in jammed up with chewing gum. English phone boxes were never cute and they have now been rendered obsolete by cell phones. One thing phone boxes have made me realize is we need to be ready for change. We need to be able to embrace tragedy and new love. Recently when my father was taken to hospital for a serious procedure that was rather too close to life or death than I care to think about, the reality of mortality hit me. Unlike most people I know, I have yet to lose an immediate member of my family and I am chronically unready in this regard. Fortunately the operation was successful. All the time we see people around us who adapt well to change and those that don't. The British Monarchy may not be good for a lot beyond selling tabloids and cutting ribbons, but at least it had thousands of years of pedigree which provides us with a lot of examples of the human psyche in all of its flawed glory. I have always been fond of Etheldred II The Unready due to his inability to get his s.. together. Etheldred ruled from 979 to 1013 and had another stab from 1014 to 1016. 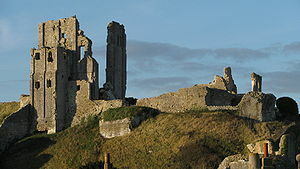 The Official Website of the British Monarchy points out Ethelred became the King of England at the age of seven at Corfe Castle in Dorset, following the murder of his half-brother Edward II by his own supporters. With supporters like that, who needs enemies. I digress. 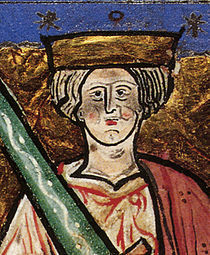 Ethelred was known as Un-raed or "Unready" which meant he was unwise and had no counsel. At the time the Danes - who were clearly unlike the bicycle and peace-loving Danes of today - were in control of large chucks of the country. Their leader Cnut - a man who suffered much from his name being misspelled - was considerably more aggressive than the King and not best pleased by Ethelred's order to kill all Danes. Ethelred then tried another tactic by giving the Danes a large amount of silver in the hope they would go away - a measure that was unsuccessful and was lambasted by the Anglo-Saxon Chronicle - the tabloid of the day. In 1013 Ethelred did a runner to France when his throne was stolen by the powerful Viking Sweyn of Denmark. He returned to rule in 1014 but undermined his return by dying in 1016. So ended a fairly inglorious and forgettable chapter which has something or other to do with adapting to change. A Cnut you say? Dyslexia has been around for a while. English phone boxes always smelt of piss and stale kebab. Can't say as I've ever used a phone booth, but having read your description of them, I'm quite glad of that fact.